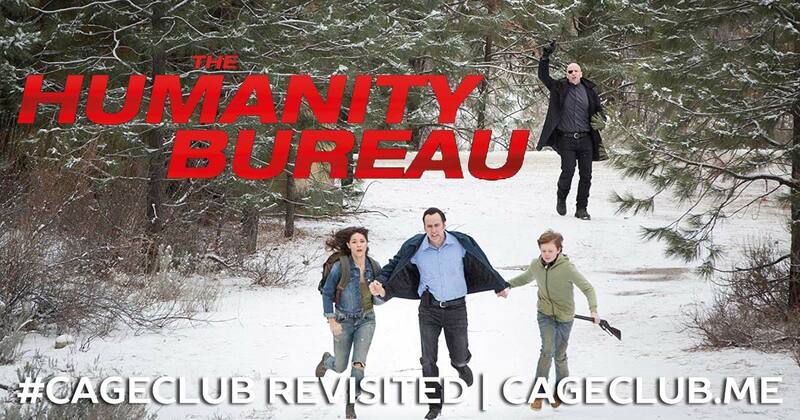 Considering how not-good The Humanity Bureau is, it may seem a little surprising that we’re revisiting it less than a year after covering it for #CageClub Prime. Lest ye forget that we are never above lumping things in with a really shoddy theme — like our “Month of Weather-ish Movies!” — nor are we above blowing through the movies we’re less excited to re-watch so that we’re (eventually) left with exclusively good and/or fun movies. With both of those explanations in mind, join us as we slap the life back into kids, tape bread over our empty eye sockets, and get gunned down in our prime as we try to make sense of this movie! If you want to hear our more insightful and in-depth podcast episode about The Humanity Bureau, you can find that here.